This entry was posted in Family Tree and tagged 1841 census records, abbreviations, census returns, Family History, Family Tree, Genealogy, occupation. Bookmark the permalink. ← Bruce – is a Sheila? My ancestor, Robert Sinclair of Lance, Lunnasting, was recorded in the 1841 census as S F & F. Sounds like “science fiction and fantasy”, but I don’t think crofters were into that. It puzzled me until I saw that his brother Leslie of “Lunister” was a Sm Far & Fish, which I’m guessing is “small farmer and fisherman”. I think I’ve seen F&F for Fisherman & Farmer before too. I should probably add that to the table! I’ve got U.K.L. on a Scottish 1841 census. Any idea what this could mean please? U.K.L. is not one I’ve seen before. What does that person have listed as an occupation in later census returns, that might help to figure it out. I have found W.S.S. and F.M.S. as abbreviations in the 1841 census for Beith, Ayrshire, but have no idea what they might stand for. I wondered if you might be able to help. W.S.S. and F.M.S are not part of the official set of abbreviations. Do you have a link to the census record where you saw them so I can take a closer look? Any idea what the abbreviation S.T. means as an occupation for a senior (~75 at the time of the census). Thanks. What year census and what country? Apologies – I thought this was all about the 1851 Scotland census. Sorry if I jumped on the wrong train. It is but I’m never sure of my readers context 🙂 Thanks for confirming, I’ll take a look and see what I can find. Thank you! I appreciate it…racking my brain trying to figure out what profession that might have been. Oh thank you. Very helpful. 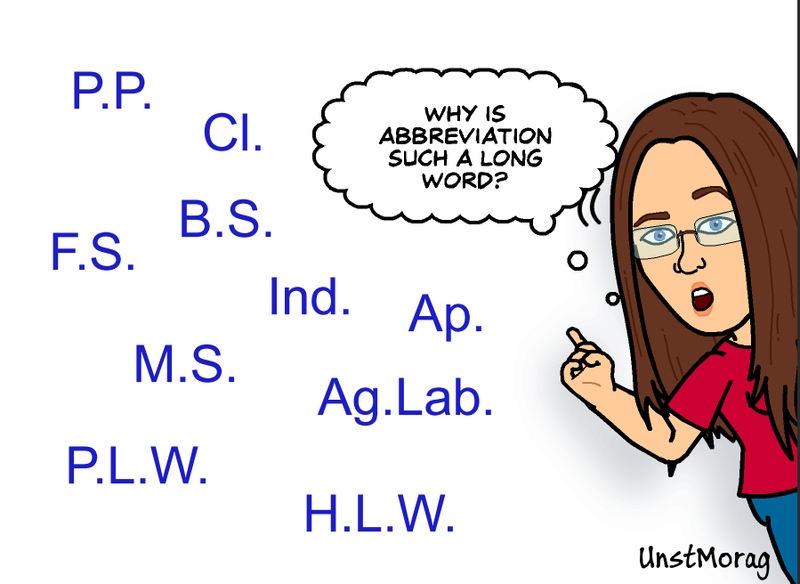 Also helpful as to where to find the abbreviations. 🙂 Have a great day! I’ll add the link to the post once I’m back at my desk. It is a handy page. I didn’t know about it until just now! Cheers!